Stunning cobalt sea, windswept mountains and charming ports of call make this one of the top destinations in Italy and possibly Europe. 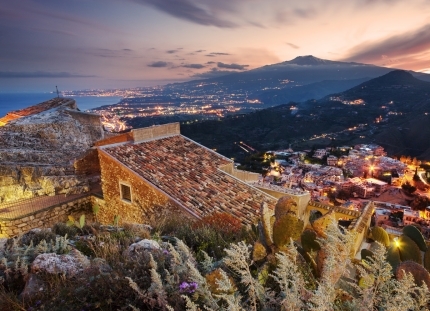 Come and discover the seven islands of Lipari, Vulcano, Salina, Panarea and Stromboli, Alicudi and Filicudi, part of a huge 200km volcanic ridge and lie between the smoking stack of Mount Etna and the threatening mass of Vesuvius above Naples. Collectively, the islands exhibit a unique range of volcanic characteristics, which earned them a place on Unesco’s World Heritage list in 2000. This is an area of extraordinary natural beauty, and the best way to see it all is on board a sailing boat. Riding through the quiet Southern Italian countryside, using the boat to explore some of the most intriguing islands, this has all the ingredients to make a very special holiday. We ride on the coastal trails, through the villages and the countryside. It is surely far less touristy than other parts of this lovely country. Taking the time to take in the atmosphere and indulge in the specialties of the region, like the famous handmade “lemon granita” at Alfredo’s, a special stop. And of course, there is the fine wine and food! Sailing, exploring and relaxing, are the ingredients for a perfect getaway.